SFK 2000 Sarajevo, the most successful women’s football team in the region, has been leading by example and good organisation in helping club football in Bosnia and Herzegovina develop. However, “ladies in burgundy” are opening their doors not only to the talented girls from Bosnia and Herzegovina, but the whole region. “I believe good relations with clubs outside of Bosnia and Herzegovina are very important for the development of women’s football in general and we as a club have been proud of this from the very start”, said Samira Hurem, Bosnia and Herzegovina women’s national team manager and a member of SFK 2000 Sarajevo coaching staff when Sportifico visited them. On this occasion, they signed a contract with Tanja Jakšić, an implementation consultant, which marked the start of this initiative which aims to advance women’s football. “National football associations or ministries of sport typically initiate such projects, while the clubs put these ideas to work. What sets SFK 2000 apart is their desire to aid football associations and other women’s clubs outside of Bosnia and Herzegovina. By doing this, they are contributing to the advancement of women in sports and their status in general and I’m delighted to be a part of this project”, said Tanja Jakšić. Thus far, in all of their doings, SFK 2000 Sarajevo have enjoyed massive support from FK Sarajevo, with whom they’re closely associated with and form a family. “In terms of organization, our best results came once we became a part of great institution like FK Sarajevo and we are very much thankful for the board’s support in this important project as well”, Samira summarized. What SFK 2000 Sarajevo does for women’s football on the pitch, Sportifico does in the digital world. 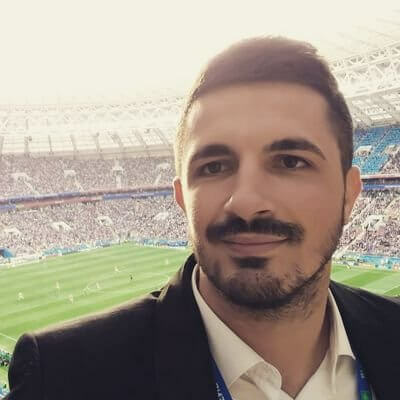 From the very start, Sportifico has been using their insights and expertise to promote women’s football in the region through their app and they are proud to have one of their team members coordinating the project in Ruža Ilić. 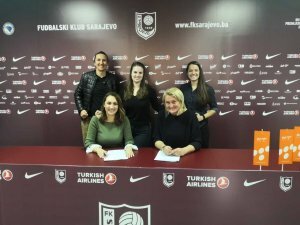 “We often highlight how, in our business processes, we are equally dedicated to women’s football as we are to men’s, and being a part of this project working with SFK 2000 Sarajevo will attest to that once again. We believe in this idea, the team behind it and we also believe that we can use our expertise to contribute to great effect”, said Ruža Ilić. Join the sport social network!